Ohthere of Hålogaland is often referred to as the first North Norwegian man. He was a Viking Age seafarer known only from an account of his travels which he gave to King Alfred of the Anglo-Saxon kingdom of Wessex around 890 AD. His account was incorporated into an Anglo-Saxon, or Old English, version of a Latin historical book written early in the 5th century by Paulus Orosius called Historiarum Adversum Paganos Libri VII or Seven Books of History Against the Pagans. In his account, Ohthere said that his home was in “Hålogaland”, where he lived “north-most of all Norwegians”. Ohthere spoke of his travels north to the White Sea, and south to Denmark, to the king. He also spoke of the Sami people (Finnas), and of two peoples called the Cwenas, living in Cwena land to the north of the Swedes, and the Beormas, whom he found living by the White Sea. Ohthere’s story is the earliest known written source for the term “Denmark” (dena mearc), and perhaps also for “Norway” (norðweg). Ohthere described two journeys which he had made, one northward and around the Kola Peninsula into the White Sea, and one southward to the Danish trading settlement of Hedeby. Ohthere said that the land stretched far to the north of his home, and that it was all wasteland, except for a few places where Sami camped to hunt in the winter and fish in the summer. He said that he travelled north mainly to hunt walrus, but he had also wanted to know if anyone lived to the north of the wasteland. He sailed north along the coast for three days, as far as whale-hunters would go, and another three days’ sailing brought him to a point where the land turned eastwards, after which he sailed east for four days, when the land turned to the south. He then sailed south for five days until he came to a large river: he said that the far bank of this river was the first inhabited land that he had encountered since leaving his home, and for this reason he did not dare sail beyond the river because of “unfrið”, usually translated as “hostility”, instead sailing up into the river. To this point, Ohthere said that all the land had been waste, except for the Sami fishermen and hunters, and he did not know if the change in direction was because of the shape of the land, or if it was because of an inlet of the sea. Further, at each turn of the land he had waited for a favourable wind. Ohthere’s home may have been in the vicinity of Tromsø, in the south of Troms County in Northern Norway. 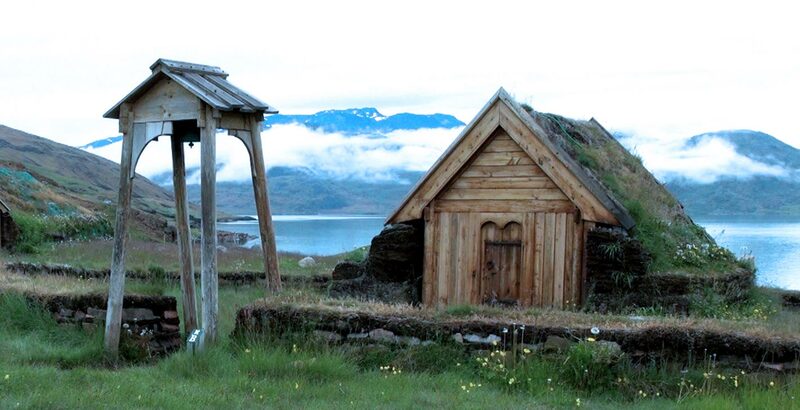 Rich archaeological finds in the south of Kvaløya, among other import cases from the east, gives us reason to believe that Ohthere’s main residence was located here. 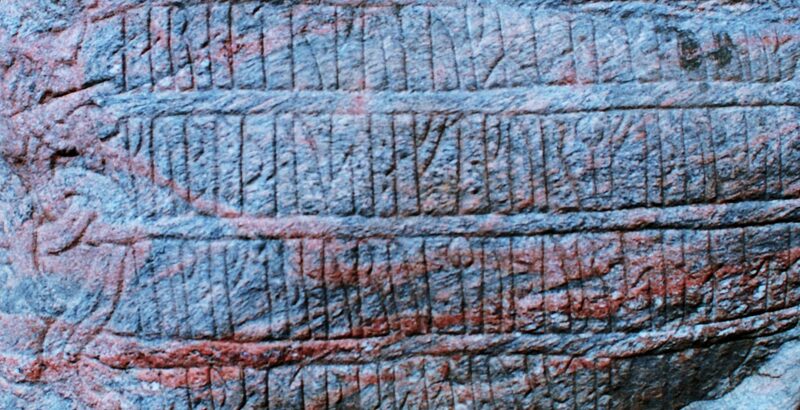 From his chiefdom on Kvaløya, chieftain Ohthere can have organized hunting expeditions along the coast of North Troms and Finnmark up to the White Sea. Ohthere and his Norse groups had control over the area between Kvaløy and Karlsøy, and he probably also claimed the land rent rights (land cairn) in terms of the trapping products of the Norse Iron Age farms. Ohthere probably sailed these products southward to the markets of southern Norway, according to his account. One of chieftain Ohthere’s duties, according to his own account, was to defend the area and its inhabitants of Norse and Sami groups from the Kvens who came across the plateau in their light riverboats to ravage and rob the Norwegian side. Ohthere tells of collecting the tax, which finding was probably an important source of income for the north Norwegian chieftains. By then it was well established and regulated in detail, which was probably in agreement with the various lords. According to Ohthere, the Finns had to pay tax according to their rank or lineage. The highest in rank had to pay 15 marten skins, five reindeer skins, one bear skin, 10 ambers of feathers, a bear or otter skin tunic and two ship ropes; each 60 ells long, one made of whale hide and the other of sealskin.